The System of Incentives to Environmental Services (SISA) is the result of a government policy that believes in the value of standing forest. Created by State Law nº 2.308 / 2010, it brings together a set of strategies and instruments that benefit those communities engaged in production with a focus on sustainability and conservation of the environment. Deals with the formulation of public policies for the Environment. It seeks to improve the socio-environmental sector of the State Government in accordance with the guidelines of the National Environmental System– "SISNAMA". It is responsible for the adequate implementation of SISA and other instruments needed to mitigate and adapt to climate change. It is an institution with financial autonomy and administrative independence, supervised by the Secretary of State for the Environment (SEMA). CDSA was created by SISA Law No. 2,308 of 2010 to promote the ecosystem products and services through partnerships with the private sector, creating a flow of investments in sustainable production practices to reduce emissions and conservation of other ecosystem services. It also promote access to national and international markets for environmental services. It is constituted as a joint-stock company with ANAC as a minority private partner (17%), and the Government of the State of Acre (83%). It is currently under the supervision of the State Secretariat for the Environment (SEMA). The SISA (law N. 2,308, of October 22, 2010), is based on the valuation of environmental services and the proper sharing of benefits to those who promote legitimate actions of preservation, conservation, recovery and sustainable use of natural resources. It is the result of consultations with different sectors of the society in order to promote the quality of life in a sustainable way. This law establishes a governance arrangement that encompasses governing bodies responsible for the regulation and monitoring of the Program, as well as the sharing of the benefits achieved by a financial mechanism (State Forestry Fund) in existing Programs and Policies of Low carbon economy. SISA ensures Social Control and the participation of civil society and indigenous communities through permanent dialogue with the State Validation and Monitoring Commission (CEVA) and indigenous and women working Groups. Acre is a worldwide leading example in the adoption of jurisdictional policies for Reducing Emissions from Deforestation and Forest Degradation (REDD+). The first program to be designed and implemented was called Incentives to Environmental Services of Carbon (ISA CARBONO) , which incorporates incentives and projects related to REDD+. The goal of ISA CARBONO is to value the state's carbon stock, distributing benefits for environmental services, based on results from avoided deforestation and carbon sequestration through regeneration and forest restoration. 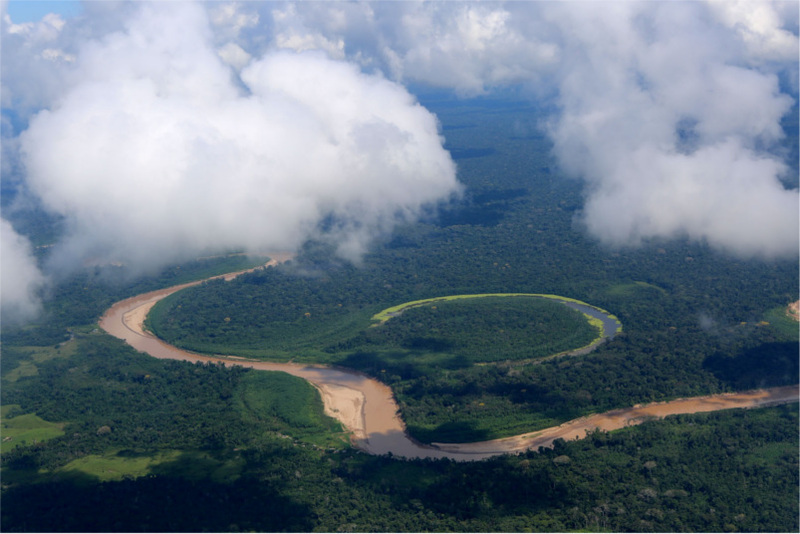 The actions of the ISA Program are carried out with financial resources of the German Cooperation, through the GLOBAL REDD EARLY MOVERS Program (REM). Implemented since 2013, it includes the remuneration on results of reductions of emissions of greenhouse gases from avoided deforestation. REM promotes the conservation of forests and the reduction of CO2 emissions, providing support to actors who have taken risks and have taken pioneering REDD initiatives. It is being implemented in Acre through the ISA Carbono Program, supported by the SISA law. The program does not generate offsets and does not foresee the transfer of carbon credits, while allowing the use of reduced emissions towards the goals set by the national government. Acre is currently preparing to implement REM II. The distribution of benefits of the REM Program, via the State Forestry Fund (Law 1,426), also contributes to the conservation of the forest carbon stock and the reduction of carbon emissions. The beneficiaries are 45% in the protected areas of the State of Acre, such as Indigenous Lands or Extractive Reserves, State Forests and 55% in open areas used for the development of sustainable productive chains. 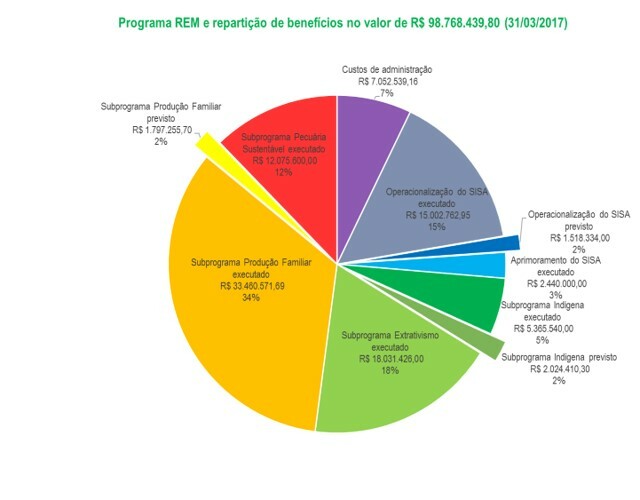 The initial goals of the REM program, established at the beginning of the program's implementation in 2013, have already been achieved by more than 100%.